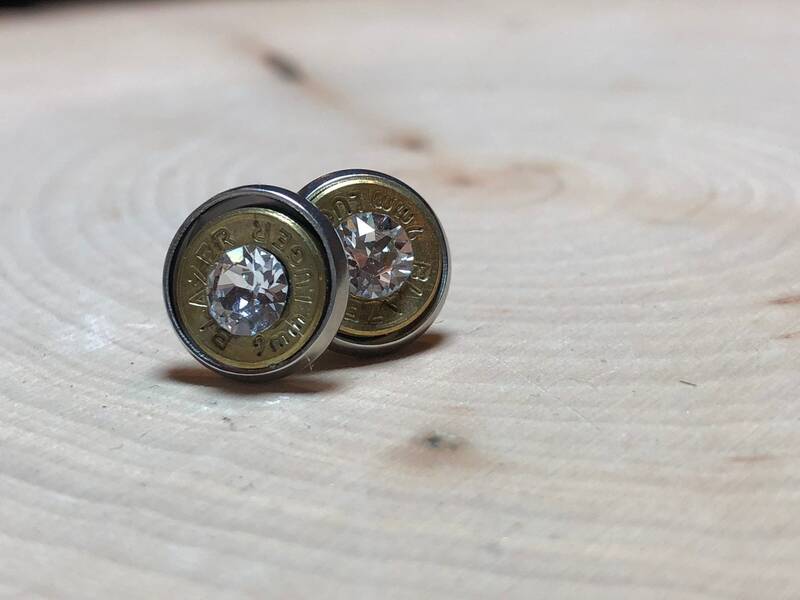 Stainless steel 9mm bullet stud earrings. Bullets are brass casings. 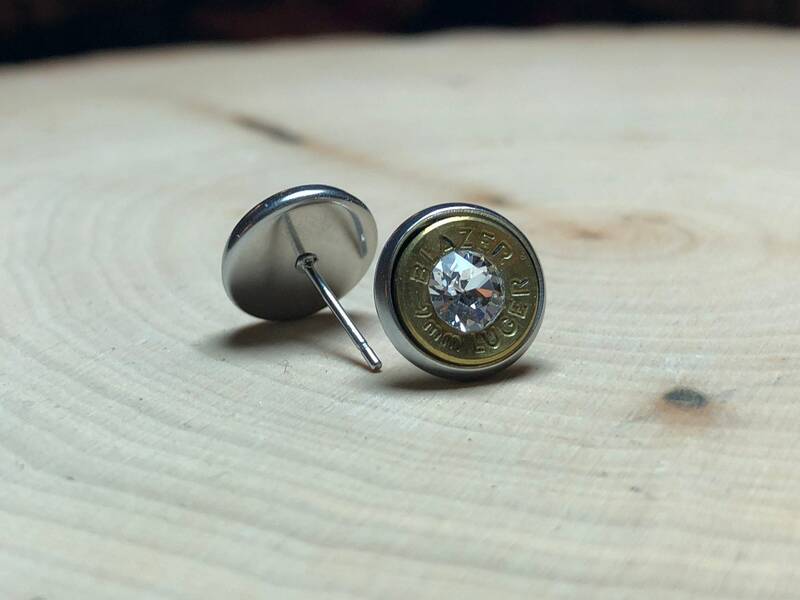 These are made with real bullets the have been fired, bullet casing sliced, ends are used in earrings. The primer has been replaced with clear swarovski crystals. Backings are made of stainless steel, which are hypoallergenic. 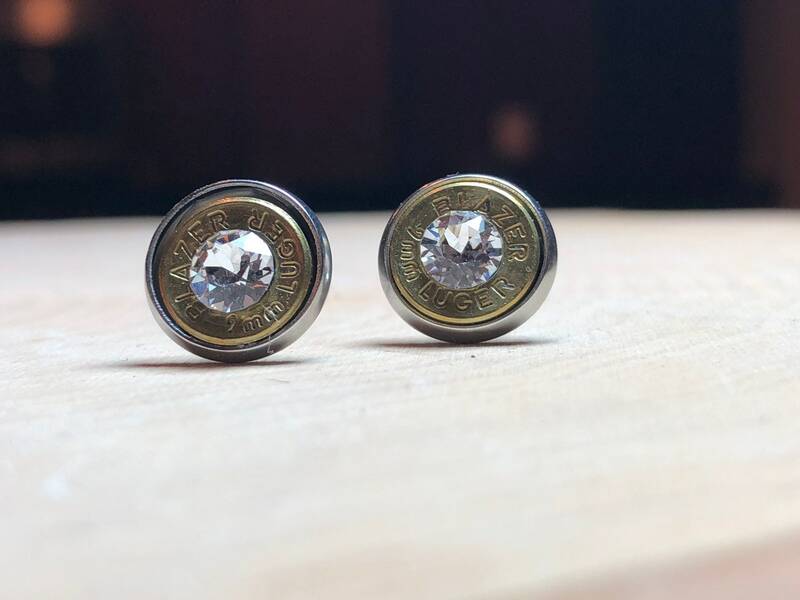 The diameter is 10mm.